We may not realize it, but we are often born with our best friend: our sibling. As much as they annoy us and cause us headaches, we love them anyways. As we grow older, age brings along a deeper appreciation for our brothers and sisters. Today’s New Jersey fashion and teen fall fashion individual is Alex who’s rocking a poncho look. She says that one of the most important people in her life is her sister, Adamaris. For Alexandra, having a sister means having a best friend to share memories, laughs, and secrets with. Coming home to someone to talk to and to share the grievances and joys of the day is definitely a most cherished gift. Alexandra is always trying to be a role model for her sibling especially since she's older. She herself has had her fair share of insecurities as we all do. In turn, Alex has surrounded herself with healthy hobbies and positive people, something she wishes for Adamaris to follow as well. A few years back, Alex began a passion in make up and found out she was quite skilled in the art. She mentions, however, that she wouldn't have been as proficient at it if her sister wasn't willing to let Alex practice on her. Adamaris always gave Alex tips on fashion too, further enhancing her style. As previously said, Alex had the pleasure of growing up with an amazing younger sister, only 3 years apart in age. Alex always wants her sister to feel special regardless of what people may say. Sadly, it wasn't always smiles and giggles. 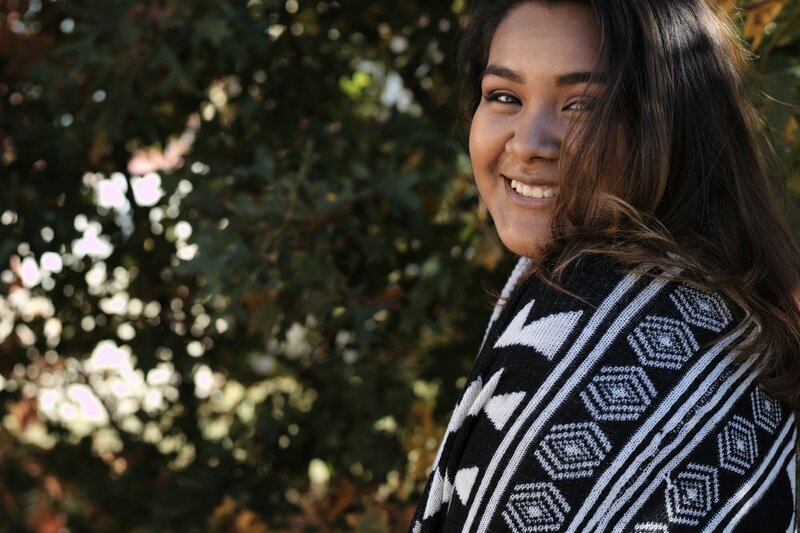 Adamaris faced a lot of bullying in middle school, and as a result, she had to move to her home country of Mexico for schooling. Alex finds it difficult to be so far way because it's as if she's missing her other half. That's no easy thing to cope with. When our siblings go to college or moves out of the house, it's a challenge to adjust to life without them. Alex is rocking a poncho look for today's teen fall fashion and New Jersey fashion. 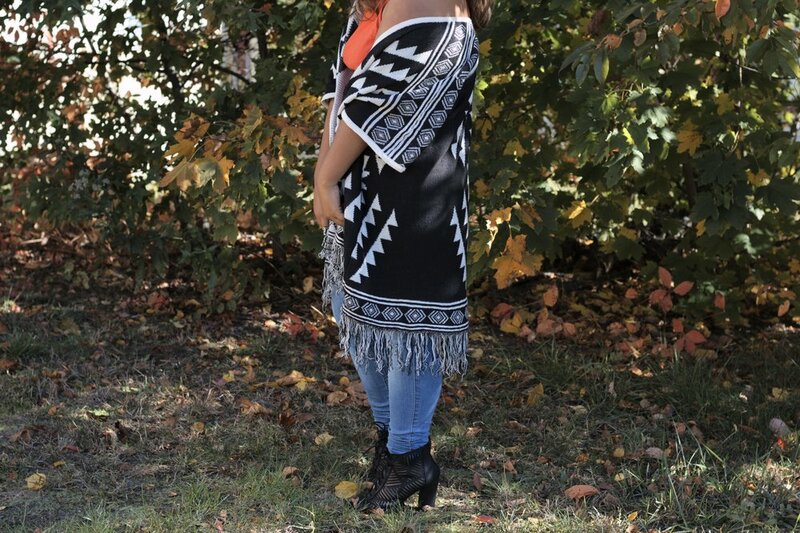 Of course, the statement piece of her look is that awesome, black and white, women's fall poncho. Underneath that is a women's orange tank top, a color that goes fantastically with the autumn season. Next, she's wearing a pair of classic denim and black peep toe booties with interesting cutouts. Although the poncho is perhaps the main piece of her outfit, the orange hue of her top really pops out. The blacks from her shoes and the poncho also make a stellar match to bring out the darker tone. All in all, Alex's poncho look is on point for today's fashion feature.